LAR GAND: King of Daxam and father to Mon-El, Lar Gand's motives are unclear. The character's name has a very rich history in comic book lore. Lar Gand was actually the real name of Mon-El. Lar took up the mantle of Mon-El after his time with Superman. As a hommage to the Man of Steel, he took his Kryptonian last name. Lar Gand, however, may not have heroic ambitions in the Supergirl universe has his wife is Queen of Daxam Rhea, commander of the palace ship of the royal family. 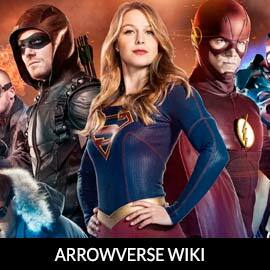 For more on Lar Gand, check out our partners at ArrowverseWiki.